At the fantasy market in Coevorden our neighbors were busy with a small blowtorch. They were engraving wood, making drawings in it. It immediately got my attention and I went over there to ask information. The result of the burning wood was very pretty. You can draw lines and the lines become very dark, the other parts of the wood stay the same. 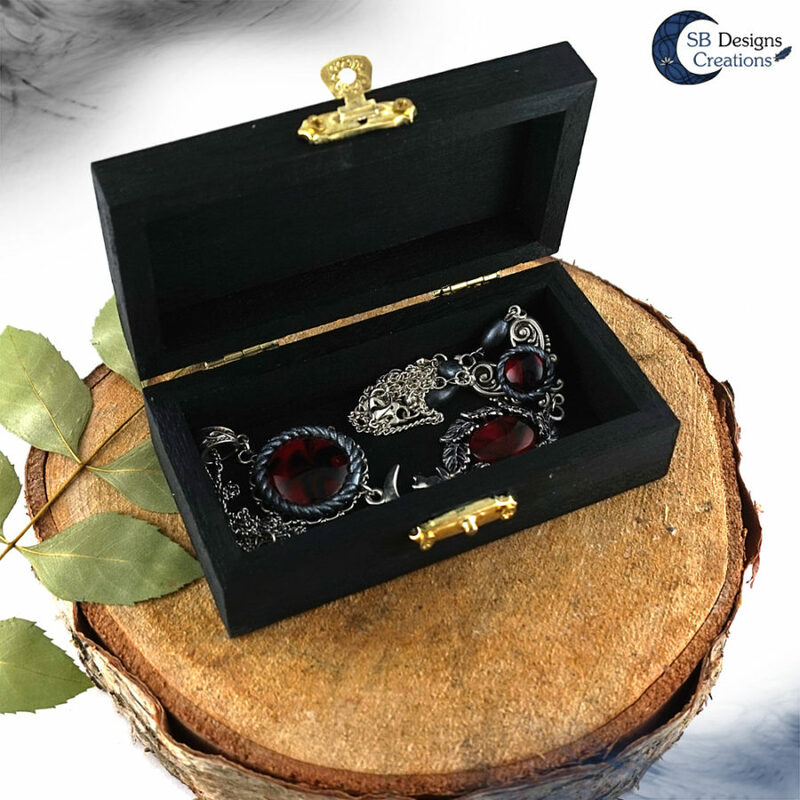 A product that fits perfectly in my product assortment: jewelry boxes. 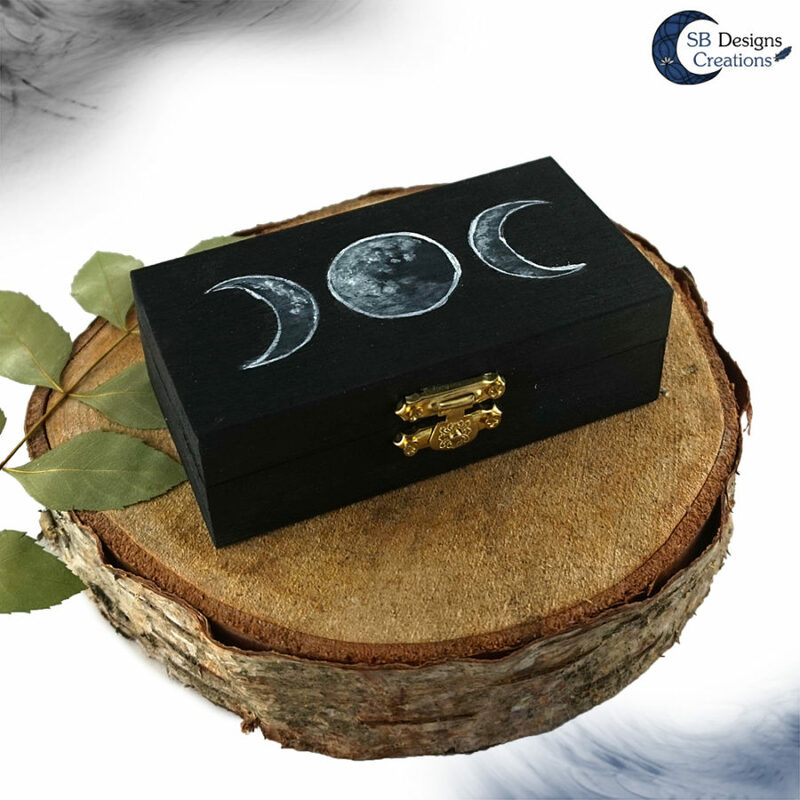 I have searched myself for fantasy jewelry boxes a long time ago and it can be pretty hard to find (especially when you search for something specific). It's fun to make these boxes, so there will be more! 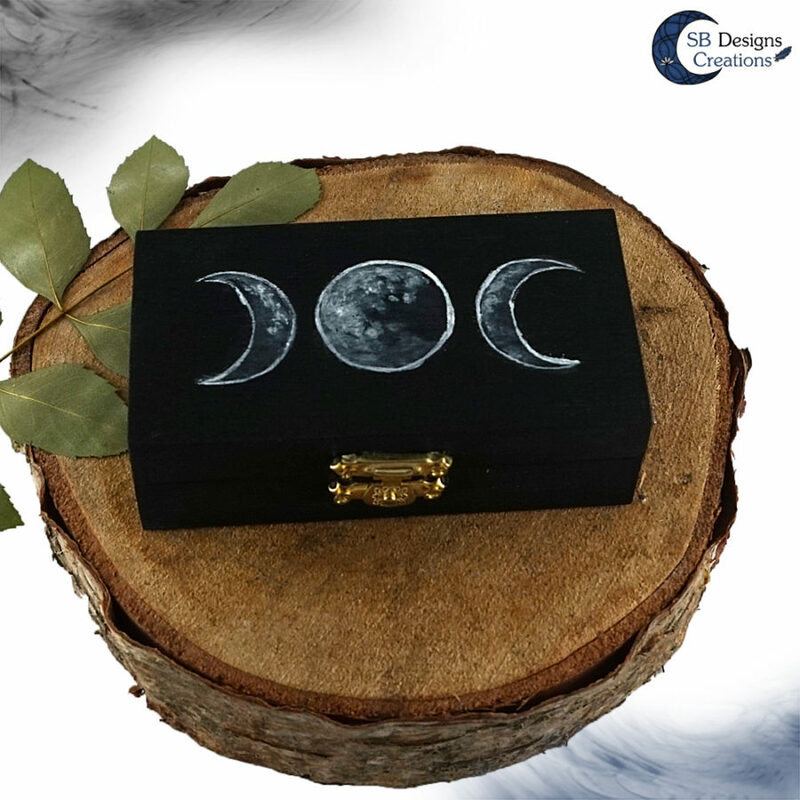 The triple moon jewelry box is only handpainted, not engraved. 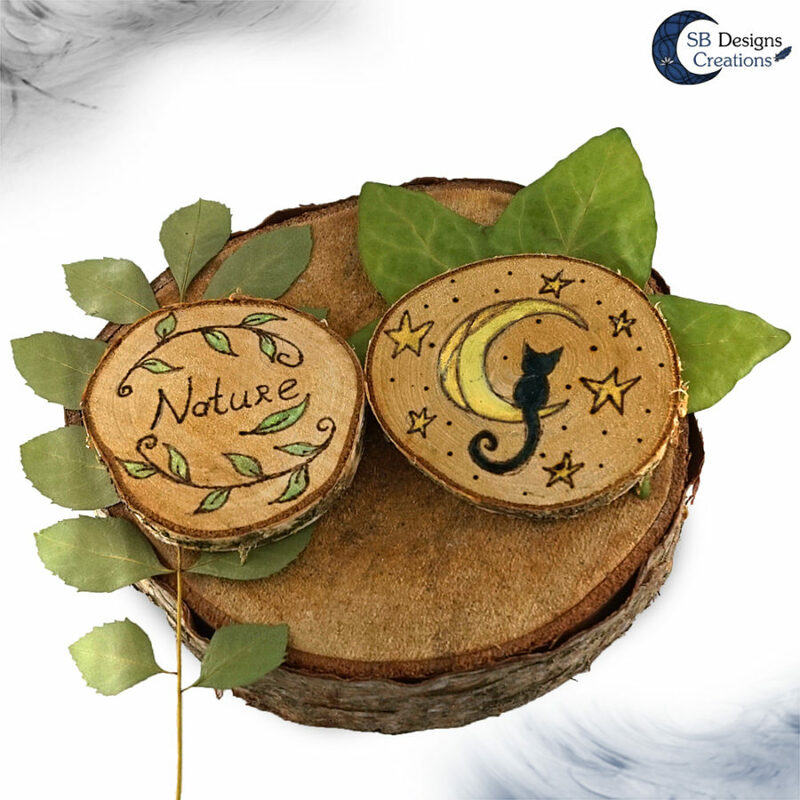 I think it would be awesome to find ways to combine paint with woodburning. At the moment I am also testing if it is possible to combine woodburning with marbled wood. Would be fun if I could combine those two. Posted in Behind the scenes, Experiments, Own work, SB Designs Creations and tagged artistlife, Handmade, painting, sbdesignscreations, wood, woodburning.